Do you know what causes tooth decay? If you said sugar, you would be correct! Food can sometimes get stuck in the grooves of your teeth, and when bacteria in your mouth comes in contact with sugar, it creates a harmful acid causing tooth decay. 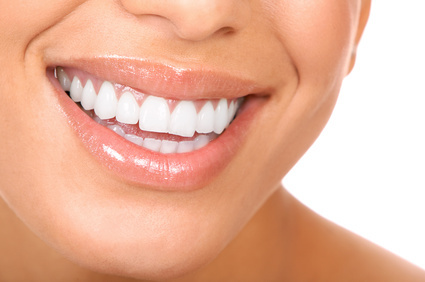 Fillings are the only option when there is a decay or cavity in your teeth. Fortunately, cavities can be reduced by getting dental sealants which help seal your teeth from food, sugar, and bacteria. Sometimes, it is best for children to get sealants as soon as their permanent teeth has come in. Sealants can also be advantageous for teens or young adults who are prone to cavities. Although not many patients have heard of sealants, they have been used since the 1960s. A sealant is a plastic coating that is applied onto the surface of the tooth to smoothes out the bumps, grooves, and pits. This avoids the food from getting stuck in the teeth and in turn reduces the possibility of decays. The two types of sealants that exist are the resin based and glass ionomer sealants. While the resin-based sealants are commonly used and are longer lasting than the ionomer sealants, there are no differences in effectiveness between the two. The steps of the sealant application is painless and are listed below. The dentist will clean the tooth thoroughly to dispel any food or bacteria that could be on your tooth. The tooth is then dried and a piece of cotton is put around your tooth to absorb any moisture. A solution might be applied on the tooth to make the surface rougher as sealants stick to rough surfaces conveniently. Finally, the sealant is applied onto the tooth enamel in a liquid form that harden within a few seconds. The most recognizable benefit of sealants is that they reduce the chance of tooth decays by sealing the teeth from harmful bacteria that can cause cavities. In addition, sealants are an investment since it will reduce the time and money spent at the dentist in the long run. Typically, sealants cost significantly less than fillings, which is what would be required in case of cavities. Some insurances cover the cost of sealants and some schools have sealant programs for kids. With time, sealants will wear and chip off when we chew food and therefore will need to be touched up every few years. Your dentist will be able to tell you if your sealants are in the condition it should be and fix them if they are not, during your annual check-ups. For more information about dental sealants, talk to your dentist.